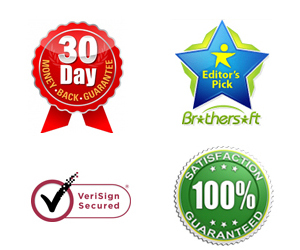 Archive by category "Editing Software"
Convert MXF, MTS and MP4 for FCP X, Premeire Pro, Sony Vegas Pro on Mac or Windows. iPhone XS Max features a Super Retina display with custom-built OLED. With CPU and GPU improvements, everything from the general snappiness of iOS 12 to gaming to augmented reality is faster for sure. You can take 2160p@24/30/60fps, 1080p@30/60/120/240fps footage easily. Canon XF705 is a very popular camcorder in this year, it is selected by many professional users and amateur users, the powerful hardware has attracted a lot of users’ attention. 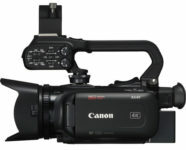 The professional Canon XF705 camcorder is able to capture 4K HEVC H.265 videos at up to 60 fps. Panasonic ZS60 is an easy-to-take camera that has 4K and full HD 1080p recording, do you have some Panasonic ZS60 4K clips and want to import Panasonic ZS60 recorded 4K MP4 files to iMovie for editing natively? Trouble import and working with H.265 files in iMovie with no audio or other problems? Simply follow this tutorial to find the reason and the best solution to get the problems fixed.